However, Human Rights Ireland said that “issues still remain” with the system. CANDIDATES IN THIS year’s local and European elections can now canvass, in a limited manner, at asylum centres after a policy u-turn. Previously politicians were forbidden from canvassing for votes at these direct provision centres. The management ruled that politicians are not allowed to talk to residents about their issues and concerns, or give them political leaflets as it is a “politically neutral environment”. However, a circular issued to staff yesterday, posted online by HumanRights.ie, states that “candidates who call into centres may be allowed to drop off election leaflets” that residents can read if they wish. “Candidates may, if they wish, place on the leaflets their contact details or details of political meetings outside the centre to which residents can be invited,” it adds. 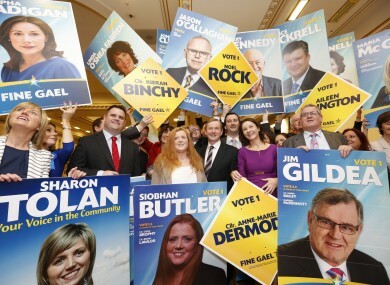 A circular issued earlier this month had informed centre managers that “party political leaflets, posters or circulars [should not be] displayed or circulated in their centres”. Liam Thornton of Human Rights Ireland said that issues still remain. Denise Charlton, the head of the Immigrant Council of Ireland, called for a review of the ban earlier this week, and described today’s announcement as “an important first step”. Email “Policy u-turn means people seeking asylum can now receive election leaflets”. Feedback on “Policy u-turn means people seeking asylum can now receive election leaflets”.